Inspired by Gazzetta dello Sport, here are the performances of all Italian soccer players operating in foreign European leagues (top divisions only). 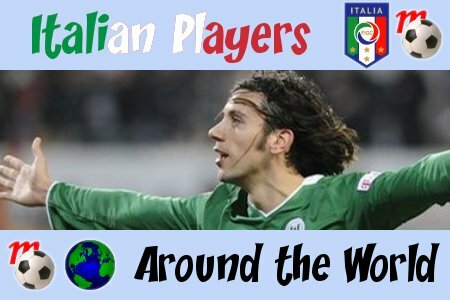 There are currently 32 Italians playing in first divisions abroad, and 14 of them stepped on the field this week-end. team of the player, their opponents for this week, the time in minutes they played, their match contribution in goal(s) or assist(s), and the final score of the game. Manuel Pascali	 Kilmarnock	 @Aberdeen	 /	 /	 pp. Jacopo Ravasi	 Lucerne	 @Sion	 / / pp. We have a treat this week. Ok, so Toni and Rossi are still doing great, scoring goals, winning games for their team, what else is new? I’ll tell you what else! Cristian Zaccardo! Remember him? Scored that own goal in 2006 vs. USA? God, who could forget that. It promoted Grosso to a starting eleven position (“thank God”, we’ll all agree) and virtually sent little young Cristian back to oblivion (pretty much). Well, Cristian can rejoice this week-end because he scored his first goal ever in the Bundesliga. Not only that, but the goal helped his team Wolfsburg earn a victory vs. Hannover! And from what I hear, post-game celebrations with his buddy and roommate Barzagli (another one of the Azzurri rejects) were pretty wild. Elle est pas belle la vie? Remaining in Germany, there’s always Luca Toni to keep us entertained. In the much-anticipated clash with Hoffenheim on Friday, the ex-Fiorentina striker provided once again Bayern’s match-winning goal, and that in the 90th minute of play. Not particularly his best in terms of style, but certainly worth its weight in gold for its importance. Some may say LucaBomber’s back to his full goalscoring glory (he scored 5 goals in Bayern’s last 5 outings), but others may point to the fact that before his goal Friday, Toni had spent the preceding 90 minutes squandering one chance after the other. Ah, these naysayers… they are just everywhere aren’t they? And finally, because Spain is right next to Germany on the map (well, not really, but for our purposes it often is), we can only renew the mention of Giuseppe Rossi‘s goalscoring prowess. Unlike our two “German” friends Zaccardo and Toni, Joe Red couldn’t provide the match winner for his team this week-end. However the goal he did score was certainly very useful for Villarreal’s efforts against Getafe: after netting the 3-3 equalizer, Rossi came also very close to earning the Yellow Submarine a victory. Shame. Meanwhile though, his goaltotal keeps increasing (it’s at 6 now). 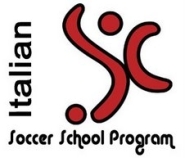 This entry was posted on Tuesday, December 9th, 2008 at 2:39 pm	and is filed under Italian Players Around the World. You can follow any responses to this entry through the RSS 2.0 feed. Both comments and pings are currently closed.